NEW YORK, September 19, 2017	(Newswire.com) - ​The Fourth Annual Media For Social Impact Summit, a partnership between the United Nations Office of Partnerships and PVBLIC Foundation, hosted key executives from leading media companies, advertising firms and creative agencies, with high-level UN representatives and communication experts, to highlight the power of media to drive social change and support the 17 Sustainable Development Goals (SDGs). "Global Media and Advertising executives are now increasingly inspiring action across their brands and organizations to support good in the world. It is our honor to use our platform to engage the media and advertising communities to launch partnerships across the UN system," stated Sergio Fernandez de Cordova, Chairman PVBLIC Foundation. Affirming PVBLIC Foundation's dedication to supporting gender equality and a more inclusive media industry, Fernandez de Córdova added, "PVBLIC is proud to announce our female majority board of advisors, and efforts to ensure all voices are heard by having over 60 percent of our Media For Social Impact Speakers be women." This year's event featured panels of experts from all corners of the media industry; from music and film, to advertising and technology. Speakers in attendance included: Patsy Doerr/Global Head of Corporate Responsibility and Inclusion for Thompson Reuters, Jill Cress/Chief Marketing Officer of National Geographic Partners, Liba Rubenstein/Sr VP of Social Impact at 21st Century Fox, Ahmed Musiol/Co-Founder of Wayfarer Entertainment, Debora Koyama/Global Marketer and Former Global VP Marketing for Stella Artois & Craft, Sarah Watson/Chairman and Global Chief Strategy Officer at Bartle Bogle Hegarty (BBH), Suzanne Powers/Global Chief Strategy Officer of McCann World Group, Terry Savage/Chairman of Cannes Lions, Melissa Hobley/Chief Marketing Officer at OkCupid, Lauren Flaherty/Chief Marketing Officer at CA Technologies, Jason Harris/Chief Executive Officer at Mekanism, Katherine Keating/Publisher of VICE Impact, Michael Lescarbeau/Executive Chairman at Carmichael Lynch, and Ariana Stolarz/Global Chief Strategy Officer at MRM/McCann. Several historic announcements were made at the Summit featuring multiple global media partnership announcements, astronauts, and artists. 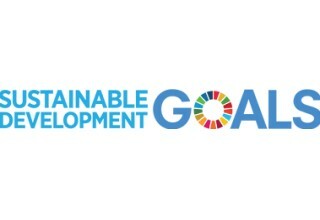 The Cannes Lions are making their official public launch of the “The Sustainable Development Goals Lion Award,” The new award will recognize the world’s most creative minds for work in which they champion the SDGs. The SDG Lion will reinforce existing collaboration with the advertising community through Common Ground and the UN's Department of Public Information. The first annual Media for Social Impact SDG 5, Gender Equality Award advertising legend Madonna Badger, Co-Founder of Badger & Winters, for her tireless work to strive for gender equality in the media and advertising world. The Constellation Foundation launched an initiative to convene fifty astronauts from all over the globe at this year’s UN General Assembly to challenge the leaders of the world to come together and solve our earth’s greatest issues. Four astronauts, in full uniform, were present to discuss their experiences on the International Space Station and how it impacted their views on global sustainability and the need to do more for humanity. The 2018 SDG International Film Festival was launched with the goal of celebrating films that contribute to raising public awareness around the Sustainable Development Goals. CONSTELLATION, a global collective art initiative, launched their campaign to use art and media to support the Sustainable Development Goals and unite one billion dreams of humanity. The Leadership Council was also recognized by inaugural Chairwoman, Claudia Romo Edelman. The council is made up of media executives who have exemplified what it means to use media for social impact, developing initiatives through their business or lives, that positively impact and enhance the lives of the global community. PVBLIC Foundation is an innovative nonprofit media organization that harnesses the power of media to drive social change. An aggregator of media across all platforms, PVBLIC works strategically to pair media space with key nonprofits at the local, national and global levels. We utilize existing and emerging technologies to increase issue awareness around important causes and help nonprofits amplify their message. At PVBLIC, we believe that media and technology are the new currencies for sustainable development. Visit www.pvblic.org. PVBLIC Foundation is an innovative nonprofit media organization that harnesses the power of media to drive social change. 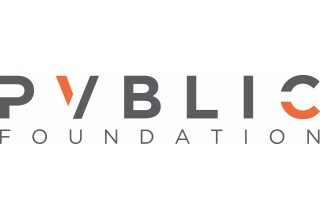 Blockchain Commission was established by Global Partnerships Forum, PVBLIC Foundation & The Fund for Philanthropy in response to the need to develop a framework by which the United Nations and its specialized agencies, member states, intergovernmental organizations, NGO's and private sector-led organizations can come together to develop global solutions to the most pressing issues of our day.